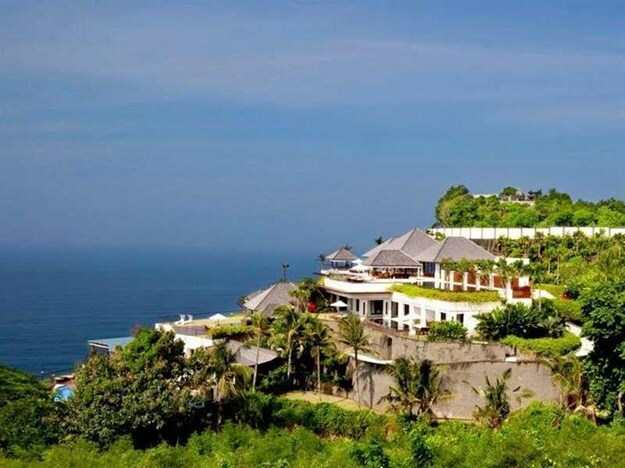 There are many star hotels in Bali. The five star hotels are the most excellent, with all the facilities and comforts afforded to the guests. Hotel prices in Bali vary greatly from US $ 20 you can spend the night comfortably. Due to intense competition, hotels in Bali are trying to provide the cheapest rates to guests without reducing the comfort and service. Geographical Code of Bali Island that is not flat with many mountains and hills has provided data of attraction to tourists. This condition also provides a great opportunity to compete to make starred hitel with beautiful scenery and extreme background. There are many erbitang hotels in Bali that are equipped with fantastic swimming pool and super exotic. 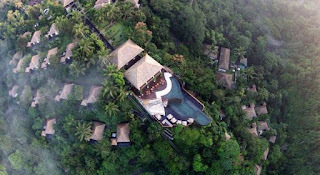 What makes hotels in Bali more attractive is the design of the pool overlooking the ravine, built on the edge of a high edge, with a view that is very beautiful and cool. Cliffs, rice fields, rivers, even sea cliffs. 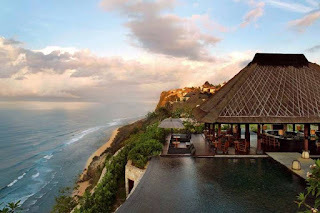 Here are some star hotels in Bali with extreme sanga pool. The hotel is located on Jalan Raya Asah Gobleg, Gobleg, Banjar, Gobleg, Banjar, Buleleng District, Bali 81152. The hotel offers an epic panorama and is amazing, such as the coffee trees, rice paddies and mountains whose beauty is hard to find. And guests can enjoy all that while soaking in the extreme pool. This star hotel is located in Banjar Susut, Buahan Village, Payangan, Gianyar Regency, Bali 80571, Telephone: (0361) 982700. Close to Ubud. The hotel is awarded as the most romantic hotel in Asia. Built on a high bank cliff edge, it has a swimming pool that jutted into the abyss, making the bath feel feels like flying, though it is rather awful looking at the bottom of the cliff. The hotel is located on Jl. 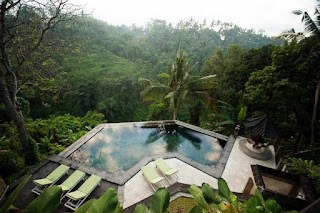 Raya Sanggingan, Kedewatan, Ubud, Gianyar, Bali 80571, Telephone: (0361) 971166. This hotel has the most comfortable sundeck with a very cool swimming pool, because it is right on the high side. 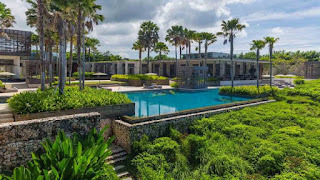 We can see the scenery of very exotic green forest, while listening to the sound of water splashing from the river that is located under the pool. 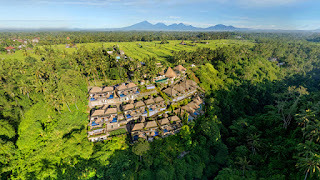 This hotel is located at Jalan Pura Goa Lempeh, Banjar Dinas Kangin, Pecatu, Uluwatu, South Kuta, Badung regency, Bali 80361, Telephone: (0361) 8470700. This starred hotel in Bali has an extreme pool. This hotel is also often called One Eighty Bali. The swimming pool in this five-star hotel will make everyone goose bumps. Because, the hotel has a swimming pool built on high cliffs, teing located on the edge of the sea. Swimming in the pool will provide a very different experience, swimming while looking at the ocean from high places. This five-star hotel is located on Jl. 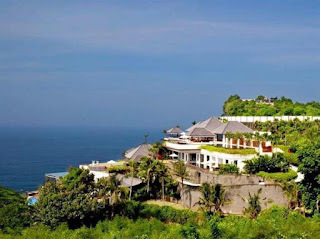 Goa Lempeh, Banjar Dinas Kangin, Uluwatu, Badung regency, Bali 80361, Telephone: (0361) 8471000. The swimming pool in this hotel has the nickname 'Swimming pool without boundaries' which will increasingly make the guests feel at home in the pool. Because tapilam pool in this hotel as one with the sea. That is why it is said without limit. 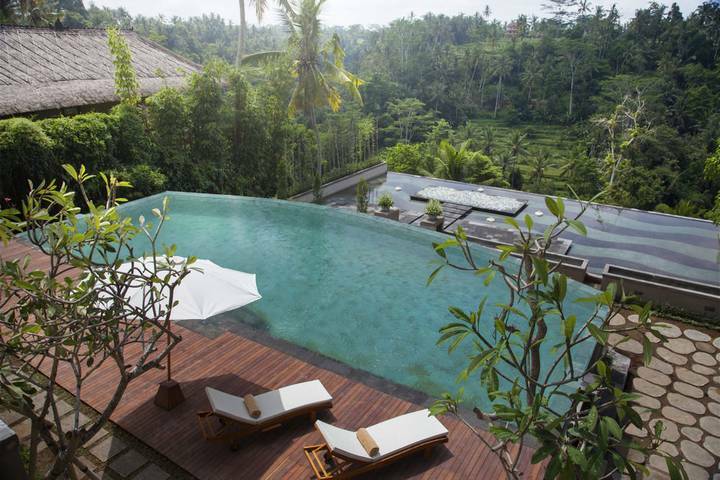 This hotel with an extreme pool is located in Ubud, located on Jln. Lanyahan, Br. Nagi, Petulu, Ubud, Bali 80571, Phone: (0361) 971777. It would be very nice to be in the pool during the afternoon. Being able to see the sunset with the view is amazing. Matari sank behind the trees on a hill from across the valley. This Inn is in the nicest location. Located on Jl. 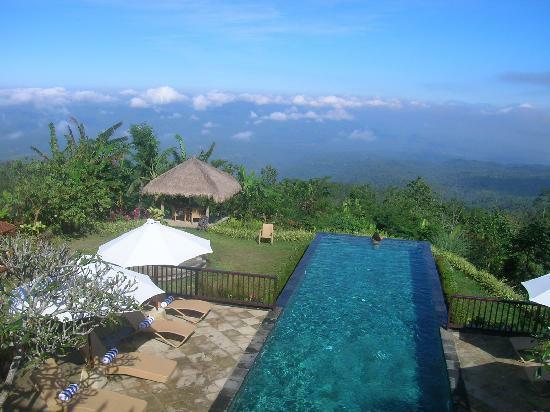 Belimbing Sari, Banjar Tambiyak, Pecatu Village, Uluwatu, Badung Regency, Bali 80364, Telephone: (0361) 8482166. When soaking in this swimming pool you can see the sunrise and sunset. Because the position of swimming pool located on the cliff facing south. This luxury resort is on Jl. Rsi Markandya II, Br. Bangkiang Sidem Keliki Village, Kelusa, Gianyar, Bali, 80561, Telephone: (0361) 4792778. Possessing extreme collar is very riveting. Its location is very close to Ubud. With views of terraced rice fields and coconut trees in the valleys and hills.